Fuel is looking for engaged volunteers to make a mark on their local community by leading a chapter! Chapter leaders help create a local community of professionals by organizing quarterly meetings, maintaining online communities, and sharing information online and in person with chapter members. Fuel Headquarters works closely with volunteers to help ensure the success of all of our chapters. Login to access Fuel's guide to chapter planning. Contact Fuel to get more information on forming a Fuel Chapter in your area. Attention all Fuel chapter leaders! 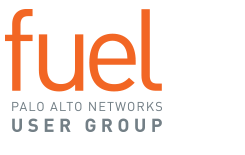 Request to join the Fuel chapter leader community where you can exchange information, knowledge and helpful chapter tidbits with your fellow volunteers. The chapter leader community allows for regular communication between Fuel members representing their local geographies. Each chapter can work with a Fuel HQ team member to build their community and member engagement.